My family moved quite a bit before I was born, and up until I was in grade nine. As evidence, I have to tell you that I was born in Calgary, in 1953, the fourth born of six kids. The first was born in 1947 or 48, in Langley, BC, where my mom was teaching school in her first teaching job. Unfortunately, he died early, at about one year old, from some infectious disease that pretty much drove my parents away from BC, back to Saskatchewan, where my mom had originated. When you’re really young, newly married, and really bad stuff happens, I guess going back home to be near family is pretty normal. Mom and Dad both got work in Saskatchewan, and so my two eldest living siblings were born there – in Swift Current, Saskatchewan, where Judith was born in 1951 and Elaine in 1950. By the time I was born my parents had moved to Calgary, closer to my father’s family and relatives. In 1953 Dad was working as a salesman for an Oil Company Supplier, on the road five days a week, more or less. My very earliest memories are of sitting on my father’s shoulders watching the Calgary Stampede parade, with my sisters sitting on the roadside curb. What sticks out in my mind today about those memories is that I was pretty excited to see the parade and that my dad got me a cowboy hat. That’s pretty much it for my memories of Calgary, even though we stuck around long enough for my youngest sister, Katherine, to come along in 1956. In the year follower her birth, my dad got a job in Powell River, at the Powell River Paper Plant and Mill. My younger brother Douglas was born in Powell River in 1957. My mom started teaching again in Powell River, temporarily as a substitute and part-time teacher. 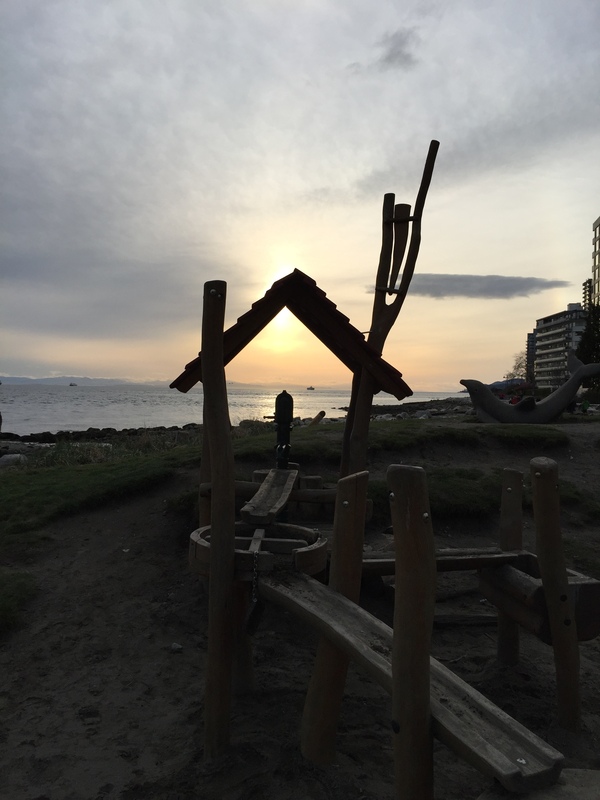 In order for her to get full-time work, she needed to move to a larger school district, Vancouver, BC where she then worked for most of the next 30 years as a secondary school teacher. She had a temporary position at UBC as an Associate Professor during the late 1960’s while she obtained her Master’s Degree in Arts, in Sociology. In 1971 she turned full time to the Vancouver School Board, just before I entered UBC myself as an undergraduate student. So in about 1958, with a new baby in tow, we moved to Richmond, BC. Mom had her new job as a teacher with the Vancouver School Board, and Dad moved to a new job in sales with a company called Plant Maintenance Equipment, located in Kitsilano in Vancouver, BC as well. Although I don’t really have too many memories of Powell River, where Douglas was born, I do vaguely remember taking swimming lessons at the beach and earning a Certificate for completing the course. It was the summer I turned five, and my mom was kept pretty busy chasing after five small children and living in a tiny cottage. I still remember vividly the old Rambler Stationwagon my dad drove the year we moved and sitting around in the living room waiting for my parents to return from Vancouver, where they had gone looking for a new house. We were all so excited to move to our new home. When I first saw it, I was astonished that we would be living in a brand new house with a private yard. It seemed wonderful, and it even had its own private ditch in front of the house. Across the street was still in the process of being developed, and there was mostly vacant land between Francis Road and the Vancouver International Airport that we could see out our front winder, even though it was miles away. The most impressive thing, however, for me, was a giant pile of dirt in the lot directly across the street. It’s hard to imagine now that we all got so excited moving again, but clearly, we were pretty good at it by then, and we all looked forward to the new rather backward at the past. As a family we would only move once more, and that was to a home in North Vancouver, where I stayed until leaving to attend UBC, and my parents stayed until my Dad passed away, and Mom moved on to an apartment, leaving the old house to my wife and me, with our raft of kids.